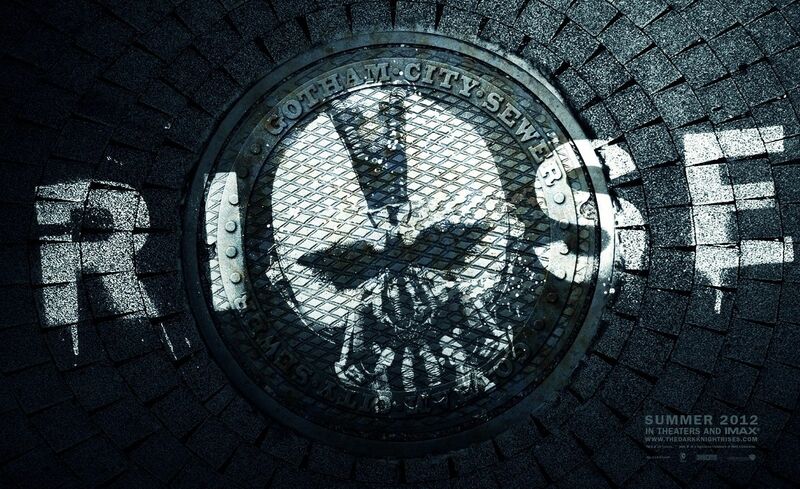 Cinematic Paradox: Making the Case for The Dark Knight Rises + Blogathon Links! Making the Case for The Dark Knight Rises + Blogathon Links! I was announced Head Girl of my school last night! Very exciting times. Alas, now I shall add my own case to the pile: the case for The Dark Knight Rises to win all of the awards. And I've got a few honourable mentions because I couldn't bear to leave them out. Here we go! Best Picture - We used to be so sure it would get in. What happened? It was bad enough that The Dark Knight got snubbed all those years ago. Of course, this one can't stand as a consolation prize, but The Dark Knight Rises truly does deserve it. It is a modern epic that we'll remember for years to come. Best Actress: Anne Hathaway - Sure, she'll be getting her fair share of awards for Les Miserables. But her performance as Selina Kyle was nothing short of amazing. Just her walk and her talk - wow. And people thought she couldn't pull it off. Best Supporting Actor: Michael Caine - He made me cry. A lot. Best Supporting Actor: Tom Hardy - I once saw a picture of him in his Bane costume and it said, "Still has more facial expressions than Kristen Stewart". And that's the outright truth. Even with a huge piece of machinery on his face, he managed to be wonderfully chilling. Not to mention that last scene with Marion Cotillard. Who on the flipside I've come to realise gave a truly terrible performance. 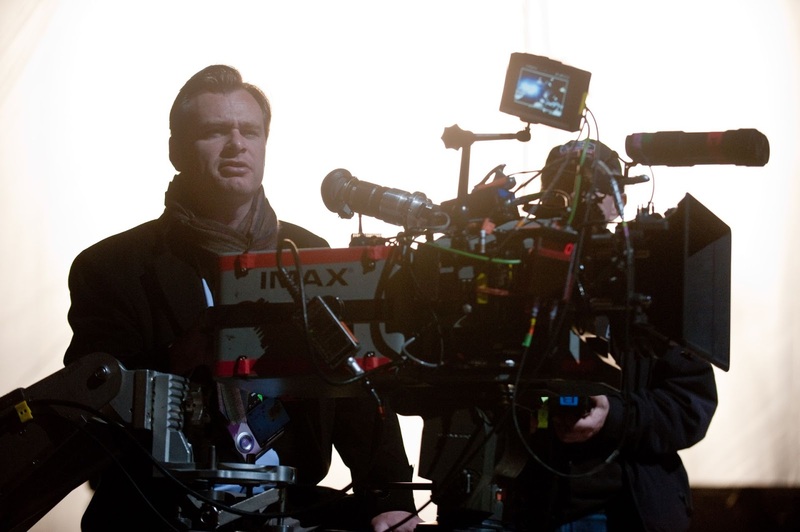 Best Director: Christopher Nolan - One day the Academy needs to get over the fact that he's better than the large majority of them. Best Adapted Screenplay: Christopher Nolan and Jonathan Nolan - Because that would be cool. Some of the lines in this film are so amazing I try and use them in day to day life, but people look at me strangely when I put on my Bane voice. Best Cinematography: Wally Pfister - It would be cool to see Pfister to have an Oscar nomination in this field once more before he turns his hand to directing. His cinematography is wonderful - the movie is actually darn pretty. Best Original Score: Hans Zimmer - There's not a day that goes by when I don't wish that I could casually use 'Why Do We Fall?' and 'Rise' in a film of my own. The rest of the score is wonderful. Anything else - I imagine that the film will at least get a whole lot of nominations in the technical categories. And I'll still be waving my little one-man fan club flag down here! Matthew McConaughey in Killer Joe and Magic Mike - I never used to like old Matty M. But no-one can deny that this has been the year of Matthew McConaughey being bloody awesome at acting. His performance in Killer Joe is by far my favourite of the year. It is so blood-curdlingly great that every time I see so much as a picture of him in the film I cover my eyes. Which made watching Magic Mike very hard, but he was easily the best thing about that film. That SAG nomination snub hurt, but I just know that he'll make it to the Oscars. If he doesn't, I'll be very angry. Michael Fassbender in Prometheus - One I reasons why I liked Prometheus was because of Michael Fassbender's stunning performance as David the android. Even though the character annoyed the hell out of me, Fassy's transformation into an android was actually terrifying. He was so...wow. Rosemarie DeWitt in Your Sister's Sister - Because Rosemarie DeWitt is just awesome and Your Sister's Sister so clearly shows that. She's so wonderful, as is the movie. Jack Black in Bernie - Jack Black is another actor who I generally don't like but he was great in Bernie. He managed not to annoy me for once. And was I the only one who was absolutely shocked when I found out that this story was true at the end? Rian Johnson's screenplay for Looper - Because Looper was utter awesomeness and it happened to be a great time travel film. As I said in my review, he created "a vision of the future, not a dream". Matt Whelan in The Most Fun You Can Have Dying - A really huge longshot, but I thought I'd throw this one out there. The Most Fun You Can Have Dying is a NZ film, and a surprisingly good one (your move, The Hobbit). Matt Whelan gives a stunning performance as a man out to destroy himself on his last days of life. I've never actually seen a Kiwi perform so well as an average Kiwi. He was great. Jessica Chastain for the newly incepted award called 'Most Awesome Person Alive' - I really need to appeal to the Academy for this award, just so Jess can win it every year. -Sati @ Cinematic Corner makes her case for the awesome score by Hans Zimmer for The Dark Knight Rises. -Anna @ Defiant Success makes her case for the three performances in The Deep Blue Sea from Simon Russell Beale, Tom Hiddleston and of course Rachel Weisz. -Nikhat @ Being Norma Jeane made a case for The Avengers to get a Best Ensemble nod at today's SAG nominations, but unfortunately, her case went unnoticed. So she decided to make a case for The Perks of Being a Wallflower's Adapted Screenplay, adapted by Stephen Chbosky himself, and the performances by Logan Lerman and Ezra Miller. Even though I haven't seen the film, these choices are infinitely awesome! -Nicole @ The Madlab Post saw Skyfall by chance since she'd missed the screenings for Argo and Lincoln - and lucky she did, because she wrote a beautiful piece about the score by Thomas Newman and the original song by Adele. -Katy @ The Drama Llama also got on The Perks of Being a Wallflower train and made a case for Ezra Miller's performance. I can only imagine how wonderful he is! -Courtney @ On the Screen Reviews makes the case for Dwight Henry's supporting performance in Beasts of the Southern Wild. I'd love to see some new talent in the mix! -Alex @ And So It Begins... makes his case for Edward Burns' screenplay for The Fitzgerald Family Christmas. It would be awesome to see him get nominated! -Rich @ Wide Screen World makes his case for Frank Langella's performance in Robot & Frank. No amount of Langella love will ever go amiss! -Drew @ A Fistful of Films made his case for Greta Gerwig's work in Damsels in Distress...and also making Greta Gerwig a thing! -Nika @ The Running Reel makes a case for Moonrise Kingdom to get a whole slew of nods. I can't wait to finally see it at the end of this month! -Josh @ The Cinematic Spectacle makes the case for Cloud Atlas, hoping to see its ambition rewarded. -SDG @ U, Me and Films also shares some love for Rosemarie DeWitt's performance in the brilliant Your Sister's Sister. -Robert @ The Sketchy Details makes a case for Cosmopolis, a film which still intrigues me to this very day, and this article makes me even more intrigued. -Brittani @ Rambling Film makes the case for Pierce Gagnon's show-stopping performance in Looper. I definitely thought of including this one - how great was he for someone who is only 5 years old? If you have a case you want to be made, it isn't too late. Mail me in the next three days and I'll add you to the list! Who's case would you believe out of these wonderful entries? I'm so glad someone else loves this as much as me. It's currently my #10 of all time and clear #1 of the year. It's such a shame it's not going to even get a Best Picture nomination. Caine was great, he got me all teary as well a lot of the time! Christopher Nolan better start getting the credit he deserves soon, my favourite director and he's only made 8 (or is it 9 now) feature films. Just amazing! The score is truly incredible too. What I love about the movie is apart from how wonderful it makes me feel watching it, Bane is such a great character, his voice is so unique and great. Some of his lines are just so cool to use in real life too: "It would be extremely painful... for you". Apart from the TDKR love, I also agree on Fassbender who was truly awesome. Great blogathon! Caine made me cry so much at the end! He was so good. Chris Nolan doesn't deserve the credit, he needs it. I may be just saying this because he's my favourite director, but he has influenced so much of the way the film industry is nowadays. And he hasn't even done all that much. Bane is a great character. My friend and I often have conversations filled with his quotes. It is so fun. Seriously, it is so great to know that there's someone else out there who loves the film as much as I do! Yaay man awesome blogathon. Even though I don't share the same enthusiasm for TDKR as you, I did really like it and loved Hathaway and Zimmer's score. Plus Fassy, McConaughey and DeWitt were amazing. Fassy, McConaughey and DeWitt *are* amazing. Hope it isn't too long before people realise that! Well, great post. However I don't really want to see Matthew M. in supp. 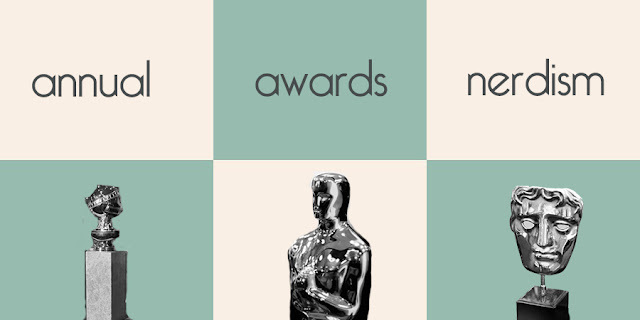 actor nomination at Oscars, more looking forward to Eddie Redmayne. I'd like to see Eddie Redmayne in there too. I like him, even though he was so terribly bland in My Week with Marilyn. The Dark Knight Rises is a great movie and although I doubt that it will get any "Best Picture" love, I do think that Christopher Nolan has given audiences something worthy of a "Best Director" nomination. Once I got past some small moments of confusion (the time traveling always throws me for a loop) with regards to the plot, I really enjoyed watching Looper. If the movie was nuts, the screenplay must be out of this world...in a good way, of course! I have no worries about Anne Hathaway. I think she's going to clean up at all of the Awards that are relevant to her performances. Now, I'm off to look up more information on The Most Fun You Can Have Dying. Your description of it reminds me of Nicolas Cage's self-destructive intentions in Leaving Las Vegas but the guy in the photo you posted looks a bit younger, so I'm curious as to the why and the how he wants to die. He is worthy of a Best Director nod. Unfortunately, that looks very unlikely. If you can check out The Most Fun You Can Have Dying, please do! It is a little bit like Leaving Las Vegas, I suppose. Basically, he is diagnosed with a terminal illness and goes overseas to live out the rest of his days. It is quite a sad movie. Stevee, I don't have a problem with The Dark Knight Rises getting nominations for the categories you mention. However, my prediction is that it's only going to get maybe Cinematography and Editing beyond the sound and visual effects categories. For the others, I did just see that Jack Black received a Golden Globe nomination for Bernie. Of course, it was in the Musical or Comedy category, so I'm not sure that will lead to Oscar interest. Yeah, TDKR is not going to get anything! Such a shame. And I doubt Jack Black will get an Oscar nomination, but it is cool to see him getting recognised! I'm pretty sure that everyone's performances get overlooked for Hathaway's! I hope we're wrong, but I think we're right on the money this time, ha. Yay! Actually, you're not. My friend who loves the film as much as I do didn't like Anne Hathaway. She was a little bit polarising. This was a fun blogathon. Think you'll do more in the future? I have no idea, I'll have to think of one first! Great post! I'd also say that Bale delivered amazing work as Best Actor, I actually liked his performance in TDKR much more to the ones given by Hardy and Caine. Bale did give a wonderful performance, especially given the physical requirements. This was such a good idea for a blogathon and I'm really happy to see that you had such an impressive turnout. Well done!